How to edit iPhone contacts on your PC? 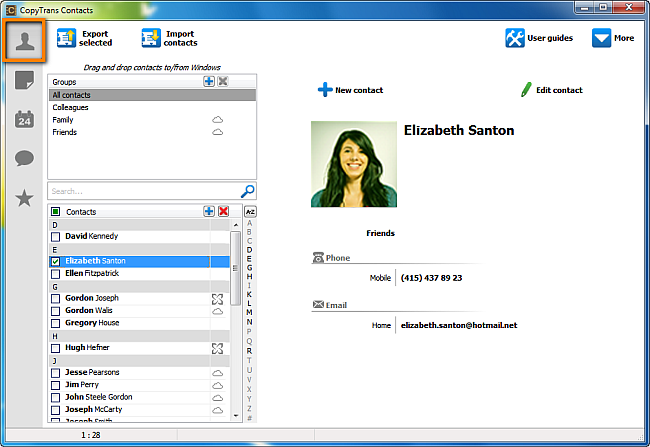 Home » How to edit iPhone contacts on your PC? You can quickly edit iPhone contacts using the comfort of your PC’s keyboard and screen by using CopyTrans Contacts. To do so, follow the steps below, or watch the short YouTube video at the end of an article. Run CopyTrans Contacts and connect your iPhone. Your iPhone contacts will appear in the program’s main window. Select the iPhone contact you wish to edit and on the right-hand side, click the “Edit” button. 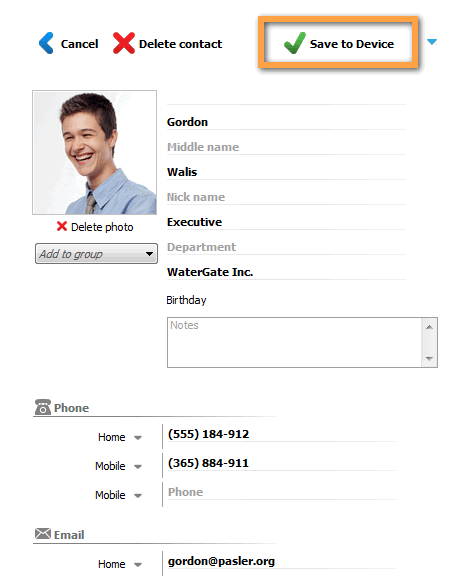 You can alternatively right-click on a contact and choose “Edit” or double-click on the contact entry. 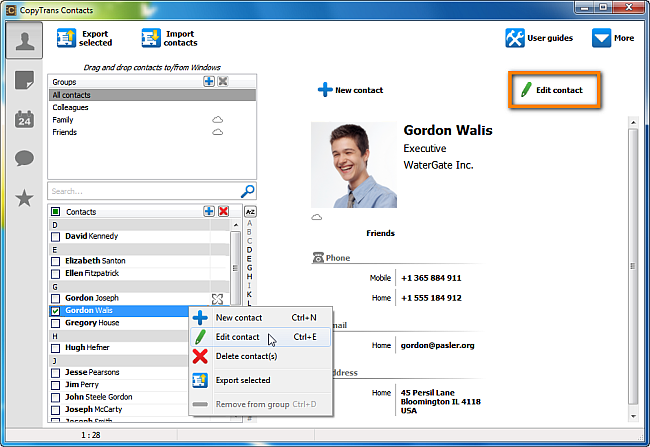 You can now edit all contact details such as phone numbers, emails, address, etc. Have a look at the video below to see CopyTrans Contact’s powerful edit engine in action. Click on the “Save” button to save the contact. This is how to quickly and efficiently edit iPhone contacts from your PC via using CopyTrans Contacts. How to add photos to iPhone contacts?